New to Appspace? With our brand-new publishing workflow, we have simplified how you create content and channels in the Appspace console and quickly view it via your chosen device. You must first publish your channels and then register your device or media player with the Appspace App. 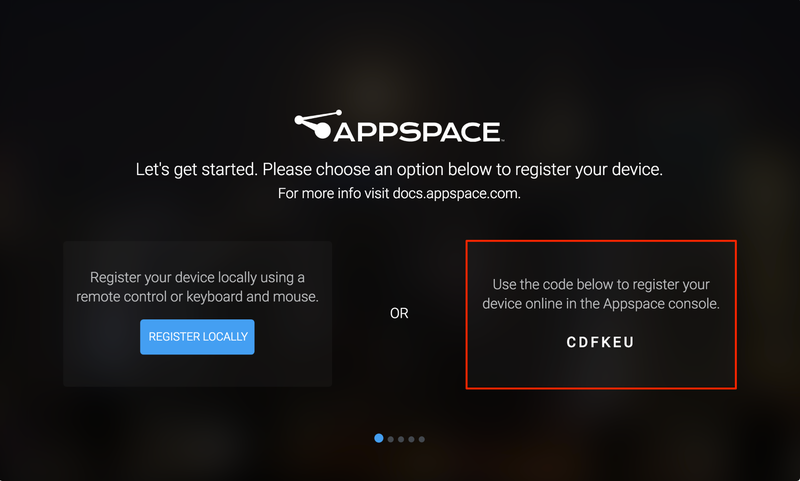 When a device is registered, one Device ID is consumed per each device from your central pool of Appspace IDs, and you are then logged in to the device in Device Mode. Based on the capabilities of your device, you may choose to view on a TV, tablet, or on a kiosk, and navigate through the channels via touchscreen, remote control, or a mouse and keyboard. Industry standard devices or media players such as BrightSign, Chromebox, etc. Click here to view compatibility: Compatible operating systems and devices. Follow this quick start guide to create and publish your content on a device or media player. Select your device that needs access to this channel. For this demo, select All devices. Navigate to System > Downloads in the Appspace Cloud console, and download the Appspace App client for your device. i.e. Appspace App for BrightSign client. Some devices may come preinstalled with the Appspace App. Please refer to this article for details: Where do I download the Appspace App? Configure your device based on your device operating system (Android, iOS, Chrome OS, etc.). Please refer to Install and configure devices. 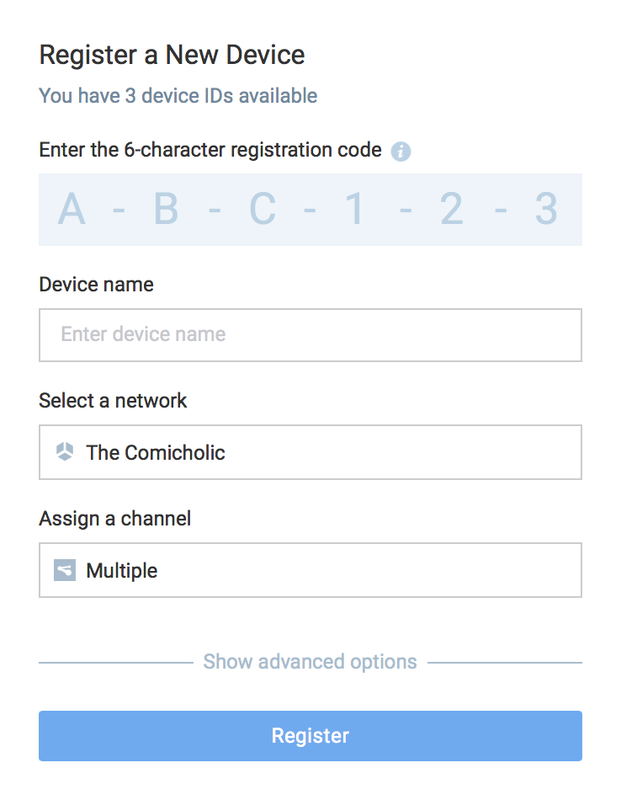 In the Register a New Device window, type-in the 6-character registration code, enter the device name, assign the published channel, and click the Register button. For more details about registering a device, please refer to Register my device article. Once registration is complete, you can view your published channel(s) on the TV, tablet, or on a kiosk.